More bling than a rap star and more gold than a bank (for its size), this wall plate will add some serious sizzle to your home theatre system. So when handling this wall plate, be sure to get the shades out cause this wall pate is so hot it's blinding! Never fear; this wall plate may be blinding but it's not too hot to handle. In fact, it's been designed to be as easy to handle as possible. Not only does it have a removable facia for easy painting or papering of the surface it decorates, but it can also handle all your RGB Component, S-Video, Composite video and F-Type Coaxial transmissions with ease! 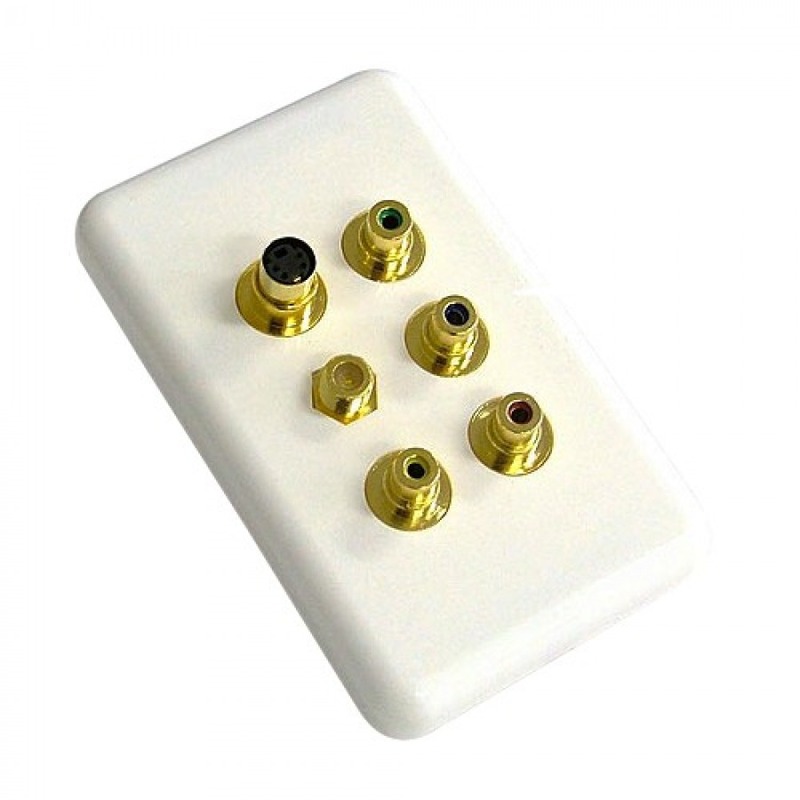 Hooking it up is also no problem, because this pimpin' wall plate is adorned with all-female connectors, so you only need male-to-male cable extensions running inside your walls, floors or ceilings. That's right. No soldering, no hassles – simply plug and play! So there you have it – one smokin' hot wall plate that'll brighten up your home theatre no end! I was extremely happy with the ease of ordering and prompt delivery. Cable Chick offers a great variety of products and excellent service. I will be sure to use this company for all my audio visual needs in the future.